of Love, Healing, & Empowerment! 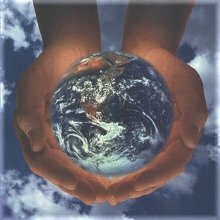 Global Community for All is a global community which is all about sharing love, healing, and empowerment. We bring people together to inspire and empower each other in building a better world on both personal and global levels. We hold small, independent gatherings where we share inspirations from our lives; develop and refine intentions for our personal lives; develop and refine collective intentions for our world; and unite in supporting and empowering both the personal and global intentions of all in our community, wherever they may be. Coming from a rich variety of backgrounds, beliefs, and cultures, Global Community for All embraces our differences as a means of learning from each other and enriching each other's lives. We also celebrate our similarities, particularly the commitment we share to the above principles as our global community reaches an ever-growing number of people. We are deeply dedicated to sharing love, healing, and empowerment as we create and realize intentions based on working together for what's best for ourselves and for our world. We warmly welcome any and all who feel inspired to join our loving global community. For empowering information and ideas on how to form a meaningful Global Community for All gathering in your local area and invite others to share in the love, healing, and inspiration, see the links in the top left column of any page of this website. You can use the suggested gathering format designed by Global Community for All. We especially invite you to take a look at Inspirations, the awesome e-zine of Global Community for All filled with short, inspiring stories focused on love, healing, and empowerment. And check out the abundance of wonderfully engaging excerpts of inspiring major media news articles. For other highly educational and inspiring essays, explore the links in the left column of any page. We express our sincere gratitude for your interest in spreading love and empowerment with Global Community for All. Special Note: Explore several inspiring profound online courses which incorporate Global Community for All's principles at www.personalgrowthcourses.net.